A few weeks ago, Bill McGoldrick, Syfy‘s V.P. of original programming, stated his intention to turn the network into something beyond a place for impossible sea creatures to get caught up in intense weather patterns. His vision is for a future filled with the genre’s top minds turning great ideas into series. While there are zero guarantees on how this will turn out, McGoldrick is making good on his goals by acquiring the rights to the DC/Vertigo comic DMZ, from writer Brian Wood and artist Riccardo Burchielli. The network is already bringing in big talent to develop it. Through their deal with Warner Bros. TV, former Mad Men executive producers André and Maria Jacquemetton will partner with Gravity producer David Heyman in an attempt to spin this war-torn dystopia into cable gold. 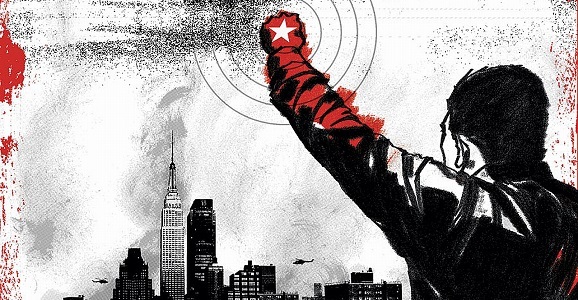 First published in 2005, DMZ was inspired in part by the volatile aftermath of 9/11. Set in a near-future where the country has split into two factions—the standard U.S. and the seceded Free States of America—this becomes the setting for a second civil war. The titular demilitarized zone is Manhattan, now only a shell of what it once was, with 1/4 of its population still intact, the majority of which is comprised of the poor and the neutral. There are also some independently war-minded folks that form DMZ militias. Syfy has been an easy punchline for a while now. Before the dark times, before the name change, they used to be called the Sci-Fi Channel and actually aired primarily — wait for it — science fiction. Sadly, somewhere along the way they let themselves be seduced into going cheaper, easier, and lazier, leaving us with a schizophrenic lineup of wrestling, ghost-hunting “reality shows,” and a few decent original series such as Defiance and Being Human. Gone were the really ambitious sci-fi series such as Farscape and Battlestar Galactica. 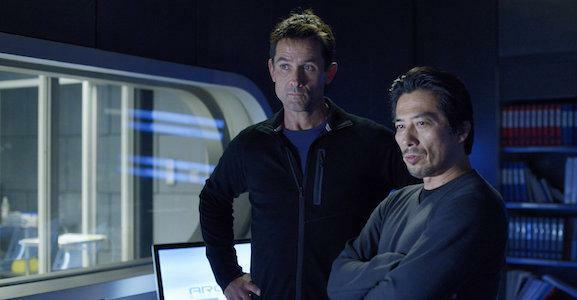 The premiere of Ron Moore’s Helix is a step in the right direction, but could it be that Syfy has finally decided to be more than a shadow of the channel they used to be? One Syfy executive seems to think so. When Syfy debuts a series (and to a lesser extent, one of its movies), you can usually bank on there a lofty concept that will ultimately get blown apart without any subtlety. The two-part premiere of Ron Moore’s contagion thriller Helix did not buck that trend in the least, filling 90-minutes with damn near every sci-fi trope you can imagine in a series that isn’t just called Science Fiction TV Show. Derivative though it may be, Helix manages to contain just enough intriguing moments to make up for the stilted dialogue and lazy writing. Instead of just rattling off each and every thing that happened in the two episodes, I’d rather just talk about the things that worked and the things that didn’t. No one here at GFR expected Helix to revolutionize the genre, but there was at least one bit that I can safely say blew my mind more than nearly anything else on TV in the last year or so. In keeping with that optimism, let’s start off with the good stuff. Oh, and be warned about SPOILERS. I won’t spell everything out, but I may ruin a surprise or two along the way. Here’s what troubles me about Syfy’s upcoming thriller Helix: it looks like a better-than-average Syfy Original movie. I know in my head that this Yahoo! trailer is just giving us an extended look at where the season is going without actually taking us there, but I can’t completely get my brain to believe that it isn’t just a quick version of Ice-Gator vs. CDC-Quake or something like that. I believe it will be better and less generic than it looks, but I also used to believe that Columbus discovered America. Lessons get learned. Sure, we’d all the like the chance to be able to go back in time and stop Syfy from ever ordering a series based on Terry Gilliam’s awesome 1995 thriller 12 Monkeys. We’d like to stop Syfy from doing a lot of things, but this adaptation is over the top. Alas, the show keeps adding cast members, which means no one is getting cold feet on this one. 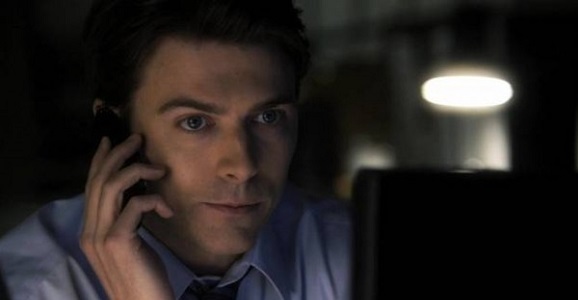 The latest pair to sign up for this Army are Nikita star Noah Bean and TV vet Željko Ivanek (Revolution). Both talented guys, certainly, but neither is the magic ingredient needed to get me on board. In Syfy’s 12 Monkeys TV series, Aaron Stanford (X2: X-Men United) will play Cole, a role Bruce Willis played with a wicked drool in the film. Cole has traveled to the present from a desolate future that has been wrecked by a deadly plague that could soon terminate most of the human race. Bean will play a political strategist who finds his relationship with Cassandra Railly (Amanda Schull) in jeopardy after Cole arrives. (Nothing says cockblock like time travel.) Ivanek will star as a genius philanthropist and capitalist involved in the same biological research that could end up crippling the planet, but no one would guess it, since he’s such a charmer. Last month, Syfy unveiled their Face Off not-quite-spinoff Jim Henson’s Creature Shop Challenge to the world, letting thousands of puppeteers realize that their lives were most certainly not for naught, and that they probably should take that cold gun out of their mouths. (Oh wait, it was only a puppet gun, thank goodness.) Rather than hiring someone off the street to host the show, like Oscar the Grouch, the Creature Shop Challenge is bringing in Australian actress Gigi Edgley, best known for playing the gray alien con-woman Chiana in Rockne S. O’Bannon’s fan-favorite series Farscape, which aired from 1999-2003. The show had its fair share of make-up and costume work, which I guess makes her somewhat qualified for the hosting gig. What does it take to be a host on Syfy? It’s unfortunate that beyond the 2004 miniseries Farscape: The Peacekeeper Wars, Edgley hasn’t really been a big name in American science fiction, but in the last few years she has starred in Australian series such as Rescue Special Ops and Trick Business. She was in the Syfy Original disaster flick Quantum Apocalypse, but that’s just an unfortunate blip on her resume. But now she’s off to meet the Muppets!